Few series have been as prominent on the Vita as developer Idea Factory’s Hyperdimension Neptunia franchise. 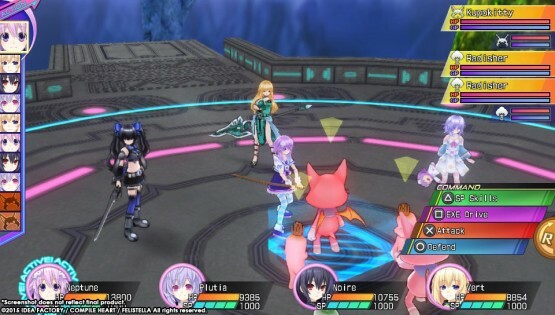 Despite the core series being a traditional turn-based RPG, the Vita has seen Idol simulators, strategy games, and action games bearing the Hyperdimension Neptunia branding. These various spin-off titles have been in addition to remakes of the traditional JRPGs that were originally found on PS3. Now, a mere three years after Hyperdimension Neptunia Victory released, a remake of the third game in the series has hit PlayStation Vita. Many changes have taken place, including the new mouthful of a title, so let’s find out if Idea Factory has finally struck gold. Can Hyperdimension Neptunia Re;Birth3: V Generation finally capitalize on the fantastic setting? The main hook of the Hyperdimension Neptunia series is that it takes place during the console wars. Each nation in the world of Gamindustri (get it?) is based off a different console maker and manages to create a country that has similar traits to the actual company. The main protagonist is the ditzy Neptune, named after the cancelled SEGA console of the same name, who is the ruler of Planeptune. While the console wars have largely been hashed out in the previous entries, Neptune manages to get transported off to another dimension to offer up a fresh plotline. Despite using such a cliché plot device, the overall story found in Hyperdimension Neptunia Re;Birth3: V Generation is very fun. This is especially so for fans of the series, as they get to see the differences in behavior between the dimensions’ counterparts. 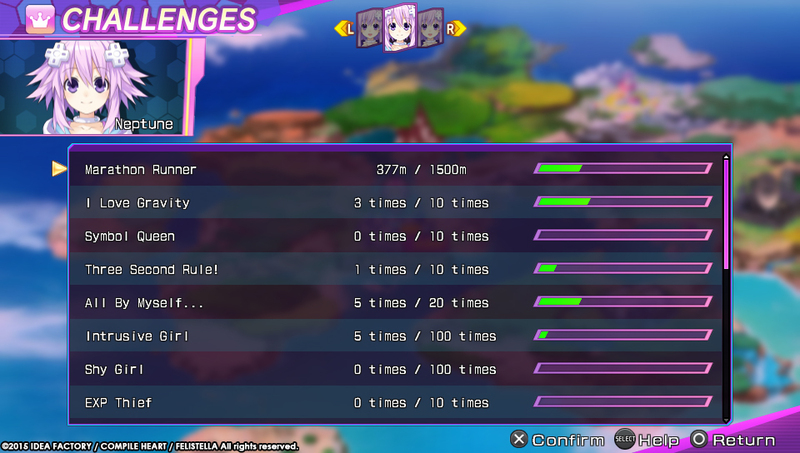 Some new characters are also introduced throughout the 20+ hour storyline, which finds Neptune having to unite all of Gamindustri against a greater threat. If there is any downside to the story, it is that the characters can be a bit too chatty during the game’s dialogue sequences. If a scene has one minor plot point, you’ll have to read through about 50 jokes before it gets to it. This generally isn’t a problem as the game can be downright hilarious at times when it references obscure video game history, but after 20 hours it might start to get on the player’s nerves. Sometimes less can be more satisfying. While most of the dialogue found in Hyperdimension Neptunia Re;Birth3: V Generation is light-hearted fun, the story manages to veer into some creepy territory more often than it is comfortable. The developer’s desire to provide fan service manifests in unnecessary bathing scenes (with conveniently placed bubbles, of course) and plenty of breast size jokes. These jokes are lazily written, and largely the same exact ones that other games in the series have used. On the bright side, at least players no longer have to worry about people walking in the room, looking at their television, and seeing what they are playing. On the bright side, this juvenile humor doesn’t manage to ruin the game. There is still a lot to enjoy about the localization, which manages to fit in jokes about everything from virtual reality to the PSN outage. It is just a shame that the series has to continually stoop to such a low bar of comedy when it’s capable of doing so much more. 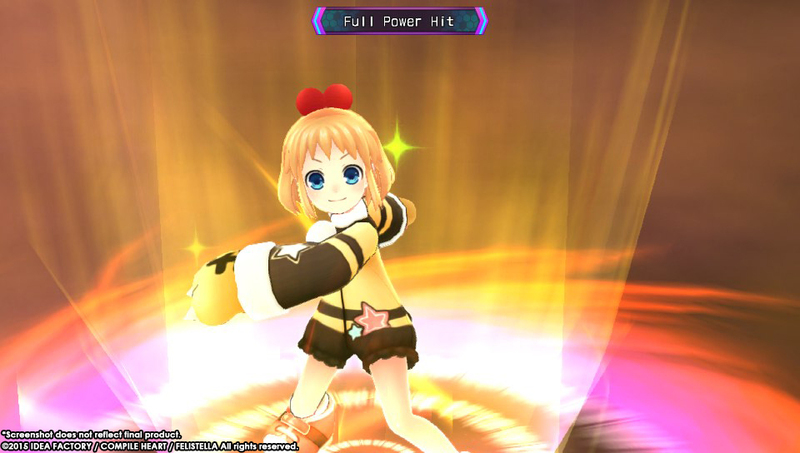 The gameplay found in Hyperdimension Neptunia Re;Birth3: V Generation is of the typical JRPG variety. There are plenty of dungeons to explore, turn-based battles to fight, and mission objectives to fulfill. 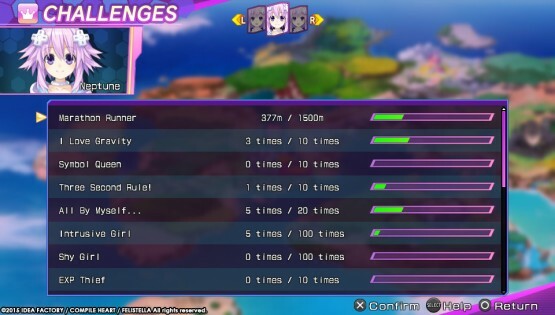 While nothing is truly innovative, the battle system has a solid amount of depth (such as allowing you to customize your own combination of attacks) to keep the game somewhat interesting throughout. The title’s biggest gimmick would be the ability to transform into a character’s HDD form — which generally means a more powerful (and scantily clad) version of the character. Some special abilities are only able to be used while in a character’s HDD form, and they come in handy during the game’s many boss encounters. While the battle system is fun, it does get a bit old when you are battling the same enemies over the course of the entire game. While seeing an enemy based off of the ghosts from Pac-Man is novel the first time, it is less so when you are battling a differently colored version later in the game. Repetition is really the biggest flaw of V Generation as it manages to impact every part of the game. The area where the repetitiveness is most apparent is in the game’s dungeon designs. There are only a handful of unique layouts in the game, while there are dozens of dungeons to explore. This means whenever you enter a cave, you are entering the same exact cave that you saw hours ago in a completely different nation. This is just poor game design, especially when you factor in the large amount of grinding the game requires to progress throughout it. One of the neatest additions is the “Remake” system. This system allows the player to modify how the game plays by collecting materials and using them to craft plans. These plans can range from making the game easier to adding more purchasable items to the in-game stores. It has been one of the highlights of the Re;Birth series and it is just as fun in this installment. Hyperdimension Neptunia Victory was far from graphically impressive on the PlayStation 3, but the game looks much better on the Vita’s OLED screen. The bright colors pop off the screen, and while it does still look like an upgraded PS2 game that is perfectly fine for a Vita game. The soundtrack is also relatively catchy, so don’t be surprised if you end up humming along to the battle music after a few hours. Hyperdimension Neptunia Re;Birth3: V Generation ends up being its own worst enemy. A quirky, genuinely funny localization manages to shoot itself in the foot by relying on lazy jokes about breast sizes far too often. The interesting battle system that has a surprising amount of depth is wasted on the same handful of dungeon designs. Hyperdimension Neptunia is getting closer to having a genuinely great game in the series, however, Re;Birth3: V Generation is merely decent.